This is really quite good. When you consider that we’re getting close to the end of the series, are stuck in the middle of filler, and you’re getting an opinion from someone who has watched several hundred episodes of the story, that I have something positive to say about Naruto Shippuden 34 is practically a miracle. It’s filler, yes, but it’s a short and sweet stretch of filler which tells an interesting what-if version of the story, a parallel world Naruto where he didn’t have a tragic upbringing. The studio manages to keep it entertaining. I took a second look at Tsuritama last week, this time on Blu-ray. It’s a great feel-good show with a delightfully quirky sense of humour. Let’s face it, any show where an alien visits Earth just to go fishing is starting from a bizarre foundation, but with its colourful cast of characters and its whimsical story, I can see Tsuritama becoming one of my go-to favourites. The Blu-ray really does the unique art style in the show justice, and it’s well worth the import. Stuart McLean sneaked in a review for Mobile Suit Gundam Thunderbolt: December Sky just under the wire. Stuart has become the de facto Gundam guy for the site. He has a better appreciation for its vintage style (not a comment about age, Stuart. Honest! ), and I’m not a giant robot person. I say vintage, but December Sky is a modern take on the story, made with cutting edge animation techniques, and a musical aesthetic that really sets it apart. Just check the trailer to see what I mean. And then click on Stuart’s review to see how good the movie is. 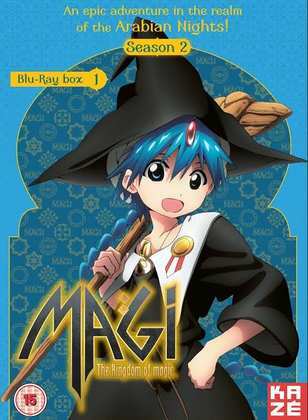 Magi: The Kingdom of Magic Season 2. It’s no surprise to see Season 2 given a retrospective following Season 1. I love the Arabian Nights setting, the familiar characters, a new anime take on the adventures of Aladdin, Sinbad and Ali Baba, or at least I did with Season 1. The dub was a missed opportunity, but its tale of djinns and magic struck a chord, at least at first. With Season 2, the scope of the story widens, and that sense of the exotic fades, as it becomes clear that Magi is yet another long running shonen anime, much in the same vein as Naruto and One Piece. This season also commits the cardinal sin of separating its cast, depriving us of the interplay between its trio of main characters. The bottom line is that there is just not enough Morgiana in this season. Kaze Entertainment released it, and Manga distributed it on DVD and on Blu-ray. For quite a while, we were the only English speaking country that had the Blu-rays, but Aniplex in the US finally got around to releasing their overpriced versions. You can still get Kaze’s sets, and they’re pretty good for Kaze. Here’s my review of Part 1. 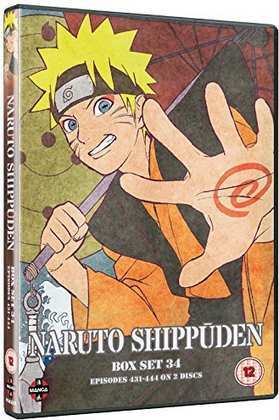 Manga Entertainment released Naruto Shippuden Collection 34 on DVD on the 19th November. 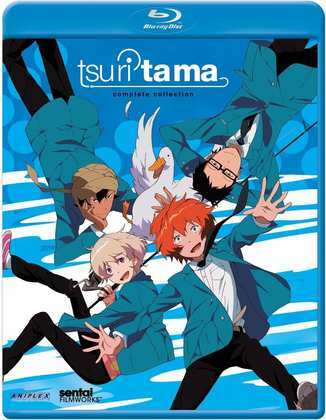 Sentai Filmworks released Tsuritama in the US in 2013 on Region B compatible Blu-ray. 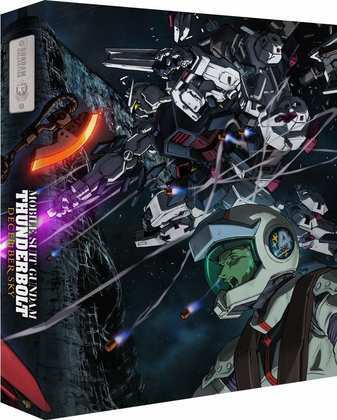 Gundam Thunderbolt: December Sky was released on Limited Collector’s Edition Blu-ray on 19th November by All the Anime.